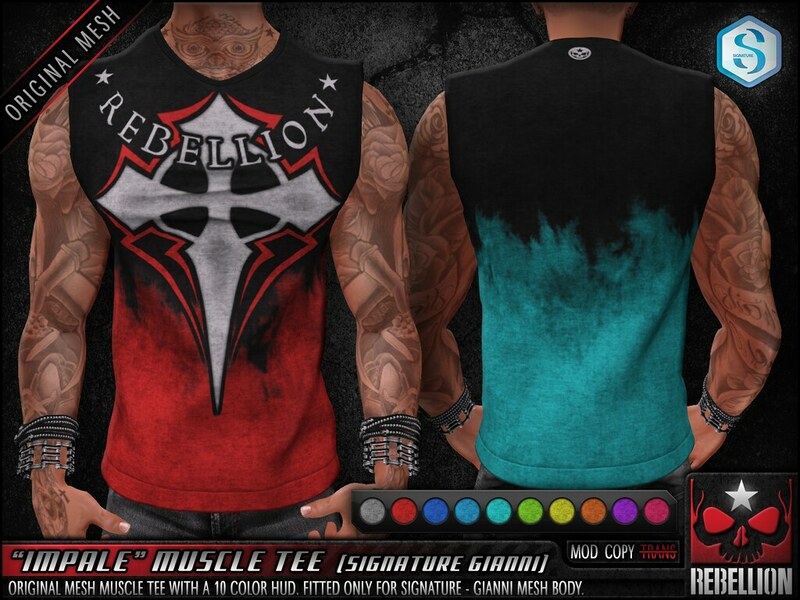 = REBELLION = "IMPALE" MUSCLE TEE | Teleport Hub Live! Second Life News May 20, 2018 by TeleportHub.com Live! PreviousSASHA SHOES @ .Suicide DollZ.